To be one of three best-known, most preferred and most trusted IVF brands in the world. 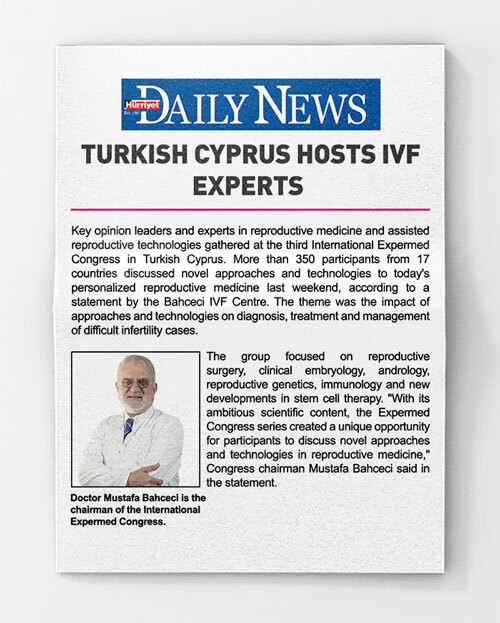 To be a reference centre in the field of IVF that focuses on patient satisfaction by following closely the scientific and technological developments in the world and contributing to science, by maintaining the same technological standards in all its centres, by never giving up on ethical values, and by providing successful treatments above international standards with a strong team. We are committed to ethical principles. We give importance to trust and honesty in our relationships with all our stakeholders. We follow scientific developments closely and contribute to science. We perform the approved technologies and treatments in reproduction science as pioneers and we value innovation. We believe in teamwork and in being a good team. All our doctors gather regularly and asses the difficult cases together. We are focused on patient and employee satisfaction. We become a family with our patients and establish long-term relationships. Is HSG shooting a painful operation What can be done for it? What does non-medication based in vitro fertilization refers to? Whom are proposed for it?